Bitcoin is the preeminent cryptocurrency and first to be used widely. However, hundreds of cryptocurrencies exist, and more spring into being every month. Cryptocurrencies are also marked by decentralized control. Cryptocurrencies’ supply and value are controlled by the activities of their users and highly complex protocols built into their governing codes, not the conscious decisions of central banks or other regulatory authorities. In particular, the activities of miners – cryptocurrency users who leverage vast amounts of computing power to record transactions, receiving newly created cryptocurrency units and transaction fees paid by other users in return – are critical to currencies’ stability and smooth function. 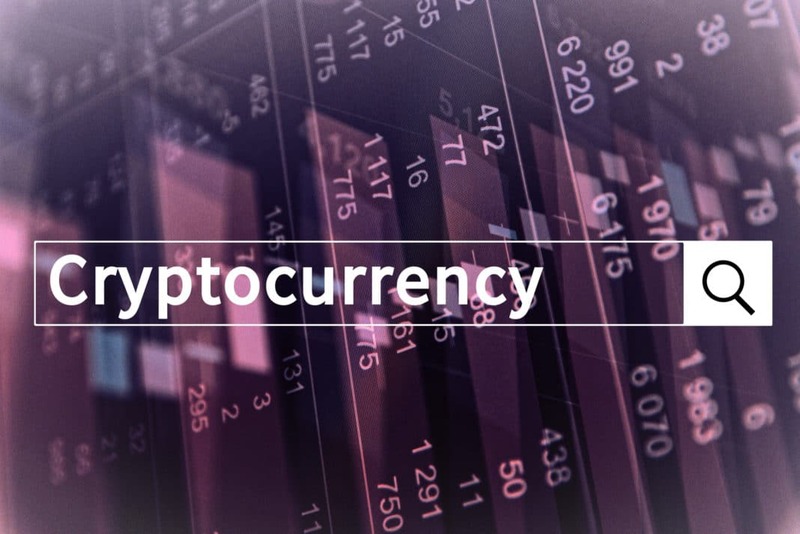 Importantly, cryptocurrencies can be exchanged for fiat currencies in special online markets, meaning each has a variable exchange rate with major world currencies (such as the U.S. dollar, British pound, European euro, and Japanese yen). Cryptocurrency exchanges are somewhat vulnerable to hacking and represent the most common venue for digital currency theft by hackers and cybercriminals. Most, but not all, cryptocurrencies are characterized by finite supply. Their source codes contain instructions outlining the precise number of units that can and will ever exist. Over time, it becomes more difficult for miners to produce cryptocurrency units, until the upper limit is reached and new currency ceases to be minted altogether. Cryptocurrencies’ finite supply makes them inherently deflationary, more akin to gold and other precious metals – of which there are finite supplies – than fiat currencies, which central banks can, in theory, produce unlimited supplies of. Due to their political independence and essentially impenetrable data security, cryptocurrency users enjoy benefits not available to users of traditional fiat currencies, such as the U.S. dollar, and the financial systems that those currencies support. For instance, whereas a government can easily freeze or even seize a bank account located in its jurisdiction, it’s very difficult for it to do the same with funds held in cryptocurrency – even if the holder is a citizen or legal resident. On the other hand, cryptocurrencies come with a host of risks and drawbacks, such as illiquidity and value volatility, that don’t affect many fiat currencies. Additionally, cryptocurrencies are frequently used to facilitate gray and black market transactions, so many countries view them with distrust or outright animosity. And while some proponents tout cryptocurrencies as potentially lucrative alternative investments, few (if any) serious financial professionals view them as suitable for anything other than pure speculation. The source codes and technical controls that support and secure cryptocurrencies are highly complex. However, laypeople are more than capable of understanding the basic concepts and becoming informed cryptocurrency users. 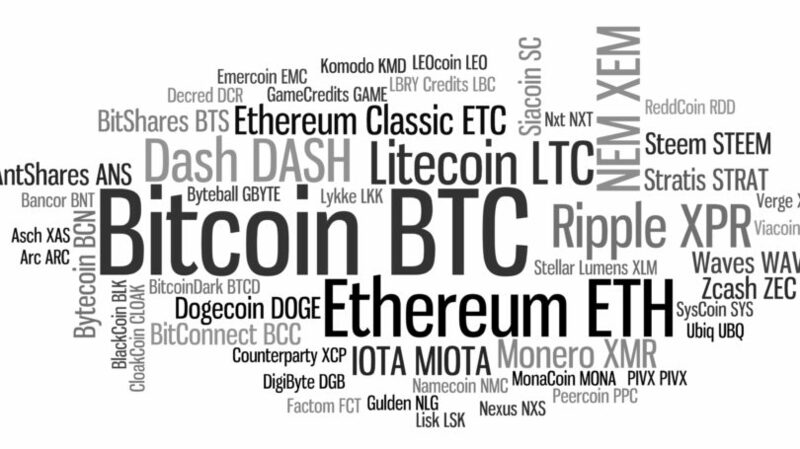 Several concepts govern cryptocurrencies’ values, security, and integrity. A cryptocurrency’s blockchain (sometimes written “block chain”) is the master ledger that records and stores all prior transactions and activity, validating ownership of all units of the currency at any given point in time. As the record of a cryptocurrency’s entire transaction history to date, a blockchain has a finite length – containing a finite number of transactions – that increases over time. Identical copies of the blockchain are stored in every node of the cryptocurrency’s software network – the network of decentralized server farms, run by computer-savvy individuals or groups of individuals known as miners, that continually record and authenticate cryptocurrency transactions. A cryptocurrency transaction technically isn’t finalized until it’s added to the blockchain, which usually occurs within minutes. Once the transaction is finalized, it’s usually irreversible. Unlike traditional payment processors, such as PayPal and credit cards, most cryptocurrencies have no built-in refund or chargeback functions, though some newer cryptocurrencies have rudimentary refund features. During the lag time between the transaction’s initiation and finalization, the units aren’t available for use by either party. Instead, they’re held in a sort of escrow – limbo, for all intents and purposes. The blockchain thus prevents double-spending, or the manipulation of cryptocurrency code to allow the same currency units to be duplicated and sent to multiple recipients. Every cryptocurrency holder has a private key that authenticates their identity and allows them to exchange units. Users can make up their own private keys, which are formatted as whole numbers between 1 and 78 digits long, or use a random number generator to create one. Once they have a key, they can obtain and spend cryptocurrency. Without the key, the holder can’t spend or convert their cryptocurrency – rendering their holdings worthless unless and until the key is recovered. While this is a critical security feature that reduces theft and unauthorized use, it’s also draconian. Losing your private key is the digital equivalent of throwing a wad of cash into a trash incinerator. While you can create another private key and start accumulating cryptocurrency again, you can’t recover the holdings protected by your old, lost key. Savvy cryptocurrency users are therefore maniacally protective of their private keys, typically storing them in multiple digital (though generally not Internet-connected, for security purposes) and analog (i.e., paper) locations. Cryptocurrency users have “wallets” with unique information that confirms them as the temporary owners of their units. Whereas private keys confirm the authenticity of a cryptocurrency transaction, wallets lessen the risk of theft for units that aren’t being used. Wallets used by cryptocurrency exchanges are somewhat vulnerable to hacking. For instance, Japan-based Bitcoin exchange Mt. Gox shut down and declared bankruptcy a few years back after hackers systematically relieved it of more than $450 million in Bitcoin exchanged over its servers. Wallets can be stored on the cloud, an internal hard drive, or an external storage device. Regardless of how a wallet is stored, at least one backup is strongly recommended. Note that backing up a wallet doesn’t duplicate the actual cryptocurrency units, merely the record of their existence and current ownership. Miners serve as record-keepers for cryptocurrency communities, and indirect arbiters of the currencies’ value. Using vast amounts of computing power, often manifested in private server farms owned by mining collectives comprised of dozens of individuals, miners use highly technical methods to verify the completeness, accuracy, and security of currencies’ block chains. The scope of the operation is not unlike the search for new prime numbers, which also requires tremendous amounts of computing power. Miners’ work periodically creates new copies of the blockchain, adding recent, previously unverified transactions that aren’t included in any previous blockchain copy – effectively completing those transactions. Each addition is known as a block. Blocks consist of all transactions executed since the last new copy of the blockchain was created. The term “miners” relates to the fact that miners’ work literally creates wealth in the form of brand-new cryptocurrency units. In fact, every newly created blockchain copy comes with a two-part monetary reward: a fixed number of newly minted (“mined”) cryptocurrency units, and a variable number of existing units collected from optional transaction fees (typically less than 1% of the transaction value) paid by buyers. Pro Tip: Once upon a time, cryptocurrency mining was a potentially lucrative side business for those with the resources to invest in power- and hardware-intensive mining operations. Today, it’s impractical for hobbyists without thousands of dollars to invest in professional-grade mining equipment. If your aim is simply to supplement your regular income, plenty of freelance gigs offer better returns. Though transaction fees don’t accrue to sellers, miners are permitted to prioritize fee-loaded transactions ahead of fee-free transactions when creating new blockchains, even if the fee-free transactions came first in time. This gives sellers an incentive to charge transaction fees, since they get paid faster by doing so, and so it’s fairly common for transactions to come with fees. While it’s theoretically possible for a new blockchain copy’s previously unverified transactions to be entirely fee-free, this almost never happens in practice. Through instructions in their source codes, cryptocurrencies automatically adjust to the amount of mining power working to create new blockchain copies – copies become more difficult to create as mining power increases, and easier to create as mining power decreases. The goal is to keep the average interval between new blockchain creations steady at a predetermined level. Bitcoin’s is 10 minutes, for instance. Although mining periodically produces new cryptocurrency units, most cryptocurrencies are designed to have a finite supply – a key guarantor of value. Generally, this means that miners receive fewer new units per new blockchain as time goes on. Eventually, miners will only receive transaction fees for their work, though this has yet to happen in practice and may not for some time. 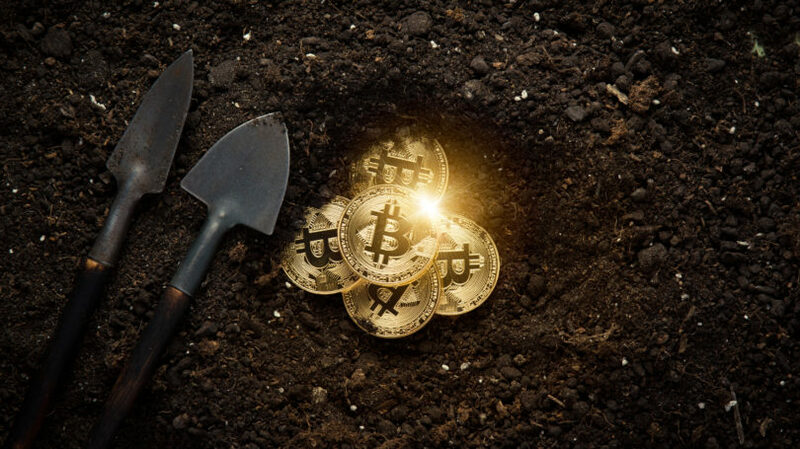 If current trends continue, observers predict that the last Bitcoin unit will be mined sometime in the mid-22nd century, for instance – not exactly around the corner. Finite-supply cryptocurrencies are thus more similar to precious metals, like gold, than to fiat currencies – of which, theoretically, unlimited supplies exist. Many lesser-used cryptocurrencies can only be exchanged through private, peer-to-peer transfers, meaning they’re not very liquid and are hard to value relative to other currencies – both crypto- and fiat. More popular cryptocurrencies, such as Bitcoin and Ripple, trade on special secondary exchanges similar to forex exchanges for fiat currencies. (The now-defunct Mt. Gox is one example.) These platforms allow holders to exchange their cryptocurrency holdings for major fiat currencies, such as the U.S. dollar and euro, and other cryptocurrencies (including less-popular currencies). In return for their services, they take a small cut of each transaction’s value – usually less than 1%. Cryptocurrency exchanges play a valuable role in creating liquid markets for popular cryptocurrencies and setting their value relative to traditional currencies. However, exchange pricing can still be extremely volatile. Bitcoin’s U.S. dollar exchange rate fell by more than 50% in the wake of Mt. Gox’s collapse, then increased roughly tenfold during 2017 as cryptocurrency demand exploded. Cryptocurrency existed as a theoretical construct long before the first digital alternative currencies debuted. Early cryptocurrency proponents shared the goal of applying cutting-edge mathematical and computer science principles to solve what they perceived as practical and political shortcomings of “traditional” fiat currencies. By the late 1980s, Chaum enlisted a handful of other cryptocurrency enthusiasts in an attempt to commercialize the concept of blinded money. After relocating to the Netherlands, he founded DigiCash, a for-profit company that produced units of currency based on the blinding algorithm. Unlike Bitcoin and most other modern cryptocurrenncies, DigiCash’s control wasn’t decentralized. Chaum’s company had a monopoly on supply control, similar to central banks’ monopoly on fiat currencies. DigiCash initially dealt directly with individuals, but the Netherlands’ central bank cried foul and quashed this idea. Faced with an ultimatum, DigiCash agreed to sell only to licensed banks, seriously curtailing its market potential. Microsoft later approached DigiCash about a potentially lucrative partnership that would have permitted early Windows users to make purchases in its currency, but the two companies couldn’t agree on terms, and DigiCash went belly-up in the late 1990s. Around the same time, an accomplished software engineer named Wei Dai published a white paper on b-money, a virtual currency architecture that included many of the basic components of modern cryptocurrencies, such as complex anonymity protections and decentralization. However, b-money was never deployed as a means of exchange. 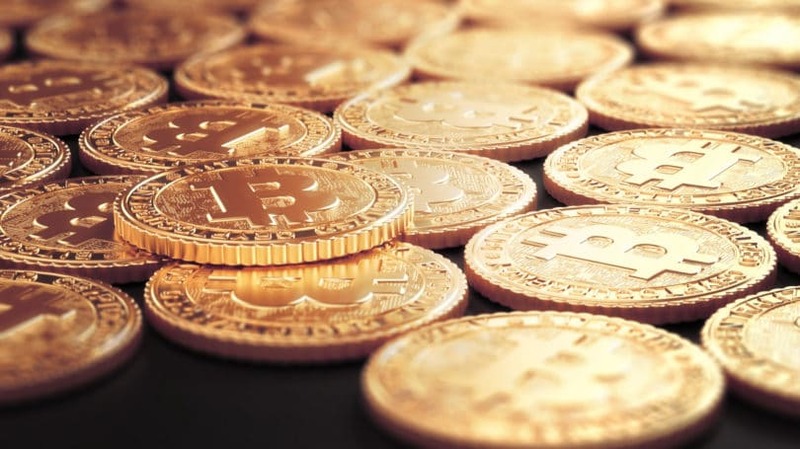 Shortly thereafter, a Chaum associate named Nick Szabo developed and released a cryptocurrency called Bit Gold, which was notable for using the blockchain system that underpins most modern cryptocurrencies. Like DigiCash, Bit Gold never gained popular traction and is no longer used as a means of exchange. After DigiCash, much of the research and investment in electronic financial transactions shifted to more conventional, though digital, intermediaries, such as PayPal (itself a harbinger of mobile payment technologies that have exploded in popularity over the past 10 years). A handful of DigiCash imitators, such as Russia’s WebMoney, sprang up in other parts of the world. In the United States, the most notable virtual currency of the late 1990s and 2000s was known as e-gold. e-gold was created and controlled by a Florida-based company of the same name. e-gold, the company, basically functioned as a digital gold buyer. Its customers, or users, sent their old jewelry, trinkets, and coins to e-gold’s warehouse, receiving digital “e-gold” – units of currency denominated in ounces of gold. e-gold users could then trade their holdings with other users, cash out for physical gold, or exchange their e-gold for U.S. dollars. At its peak in the mid-2000s, e-gold had millions of active accounts and processed billions of dollars in transactions annually. Unfortunately, e-gold’s relatively lax security protocols made it a popular target for hackers and phishing scammers, leaving its users vulnerable to financial loss. And by the mid-2000s, much of e-gold’s transaction activity was legally dubious – its laid-back legal compliance policies made it attractive to money laundering operations and small-scale Ponzi schemes. The platform faced growing legal pressure during the mid- and late-2000s, and finally ceased to operate in 2009. Bitcoin is widely regarded as the first modern cryptocurrency – the first publicly used means of exchange to combine decentralized control, user anonymity, record-keeping via a blockchain, and built-in scarcity. It was first outlined in a 2008 white paper published by Satoshi Nakamoto, a pseudonymous person or group. In early 2009, Nakamoto released Bitcoin to the public, and a group of enthusiastic supporters began exchanging and mining the currency. By late 2010, the first of what would eventually be dozens of similar cryptocurrencies – including popular alternatives like Litecoin – began appearing. The first public Bitcoin exchanges appeared around this time as well. In late 2012, WordPress became the first major merchant to accept payment in Bitcoin. Others, including Newegg.com (an online electronics retailer), Expedia, and Microsoft, followed. Dozens of merchants now view the world’s most popular cryptocurrency as a legitimate payment method. Though few other cryptocurrencies are widely accepted for merchant payments, increasingly active exchanges allow holders to exchange them for Bitcoin or fiat currencies – providing critical liquidity and flexibility. Most cryptocurrencies are hardwired for scarcity – the source code specifies how many units can ever exist. In this way, cryptocurrencies are more like precious metals than fiat currencies. Like precious metals, they may offer inflation protection unavailable to fiat currency users. Cryptocurrencies offer a reliable means of exchange outside the direct control of national banks, such as the U.S. Federal Reserve and European Central Bank. This is particularly attractive to people who worry that quantitative easing (central banks’ “printing money” by purchasing government bonds) and other forms of loose monetary policy, such as near-zero inter-bank lending rates, will lead to long-term economic instability. In the long run, many economists and political scientists expect world governments to co-opt cryptocurrency, or at least to incorporate aspects of cryptocurrency (such as built-in scarcity and authentication protocols) into fiat currencies. This could potentially satisfy some cryptocurrency proponents’ worries about the inflationary nature of fiat currencies and the inherent insecurity of physical cash. Mining is a built-in quality control and policing mechanism for cryptocurrencies. Because they’re paid for their efforts, miners have a financial stake in keeping accurate, up-to-date transaction records – thereby securing the integrity of the system and the value of the currency. Privacy and anonymity were chief concerns for early cryptocurrency proponents, and remain so today. Many cryptocurrency users employ pseudonyms unconnected to any information, accounts, or stored data that could identify them. Though it’s possible for sophisticated community members to deduce users’ identities, newer cryptocurrencies (post-Bitcoin) have additional protections that make it much more difficult. When citizens in repressive countries run afoul of their governments, said governments can easily freeze or seize their domestic bank accounts, or reverse transactions made in local currency. This is of particular concern in autocratic countries such as China and Russia, where wealthy individuals who run afoul of the ruling party frequently find themselves facing serious financial and legal troubles of dubious provenance. Unlike central bank-backed fiat currencies, cryptocurrencies are virtually immune from authoritarian caprice. Cryptocurrency funds and transaction records are stored in numerous locations around the world, rendering state control – even assuming international cooperation – highly impractical. It’s a bit of an oversimplification, but using cryptocurrency is a bit like having access to a theoretically unlimited number of offshore bank accounts. Decentralization is problematic for governments accustomed to employing financial leverage (or outright bullying) to keep troublesome elites in check. In late 2017, CoinTelegraph reported on a multinational cryptocurrency initiative spearheaded by the Russian government. If successful, the initiative would have two salutary outcomes for those involved: weakening the U.S. dollar’s dominance as the world’s de facto means of exchange, and affording participating governments tighter control over increasingly voluminous and valuable cryptocurrency supplies. The concepts of blockchains, private keys, and wallets effectively solve the double-spending problem, ensuring that new cryptocurrencies aren’t abused by tech-savvy crooks capable of duplicating digital funds. Cryptocurrencies’ security features also eliminate the need for a third-party payment processor – such as Visa or PayPal – to authenticate and verify every electronic financial transaction. In turn, this eliminates the need for mandatory transaction fees to support those payment processors’ work – since miners, the cryptocurrency equivalent of payment processors, earn new currency units for their work in addition to optional transaction fees. Cryptocurrency transaction fees are generally less than 1% of the transaction value, versus 1.5% to 3% for credit card payment processors and PayPal. Cryptocurrencies don’t treat international transactions any differently than domestic transactions. Transactions are either free or come with a nominal transaction fee, no matter where the sender and recipient are located. This is a huge advantage relative to international transactions involving fiat currency, which almost always have some special fees that don’t apply to domestic transactions – such as international credit card or ATM fees. And direct international money transfers can be very expensive, with fees sometimes exceeding 10% or 15% of the transferred amount. You Might Also Like: Many popular credit cards come with foreign transaction fees, which can significantly increase transaction costs in foreign countries. If you routinely travel abroad, scan our list of the top travel rewards credit cards for up-to-date details about credit cards without such surcharges. Probably the biggest drawback and regulatory concern around cryptocurrency is its ability to facilitate illicit activity. Many gray and black market online transactions are denominated in Bitcoin and other cryptocurrencies. For instance, the infamous dark web marketplace Silk Road used Bitcoin to facilitate illegal drug purchases and other illicit activities before being shut down in 2014. Cryptocurrencies are also increasingly popular tools for money laundering – funneling illicitly obtained money through a “clean” intermediary to conceal its source. The same strengths that make cryptocurrencies difficult for governments to seize and track allow criminals to operate with relative ease – though, it should be noted, the founder of Silk Road is now behind bars, thanks to a years-long DEA investigation. Since cryptocurrencies aren’t regulated by national governments and usually exist outside their direct control, they naturally attract tax evaders. Many small employers pay employees in bitcoin and other cryptocurrencies to avoid liability for payroll taxes and help their workers avoid income tax liability, while online sellers often accept cryptocurrencies to avoid sales and income tax liability. According to the IRS, the U.S. government applies the same taxation guidelines to all cryptocurrency payments by and to U.S. persons and businesses. However, many countries don’t have such policies in place. And the inherent anonymity of cryptocurrency makes some tax law violations, particularly those involving pseudonymous online sellers (as opposed to an employer who puts an employee’s real name on a W-2 indicating their bitcoin earnings for the tax year), difficult to track. Early cryptocurrency proponents believed that, if properly secured, digital alternative currencies promised to support a decisive shift away from physical cash, which they viewed as imperfect and inherently risky. Assuming a virtually uncrackable source code, impenetrable authentication protocols (keys) and adequate hacking defenses (which Mt. Gox lacked), it’s safer to store money in the cloud or even a physical data storage device than in a back pocket or purse. However, this assumes that cryptocurrency users take proper precautions to avoid data loss. For instance, users who store their private keys on single physical storage devices suffer irreversible financial harm when the device is lost or stolen. Even users who store their data with a single cloud service can face loss if the server is physically damaged or disconnected from the global Internet (a possibility for servers located in countries with tight Internet controls, such as China). Many cryptocurrencies have relatively few outstanding units concentrated in a handful of individuals’ (often the currencies’ creators and close associates) hands. These holders effectively control these currencies’ supplies, making them susceptible to wild value swings and outright manipulation – similar to thinly traded penny stocks. However, even widely traded cryptocurrencies are subject to price volatility: Bitcoin’s value doubled several times in 2017, then halved during the first few weeks of 2018. Generally, only the most popular cryptocurrencies – those with the highest market capitalization, in dollar terms – have dedicated online exchanges that permit direct exchange for fiat currency. The rest don’t have dedicated online exchanges, and thus can’t be directly exchanged for fiat currencies. Instead, users have to convert them into more commonly used cryptocurrencies, such as Bitcoin, before fiat currency conversion. By increasing exchange transactions’ cost, this suppresses demand for, and thus the value of, some lesser-used cryptocurrencies. 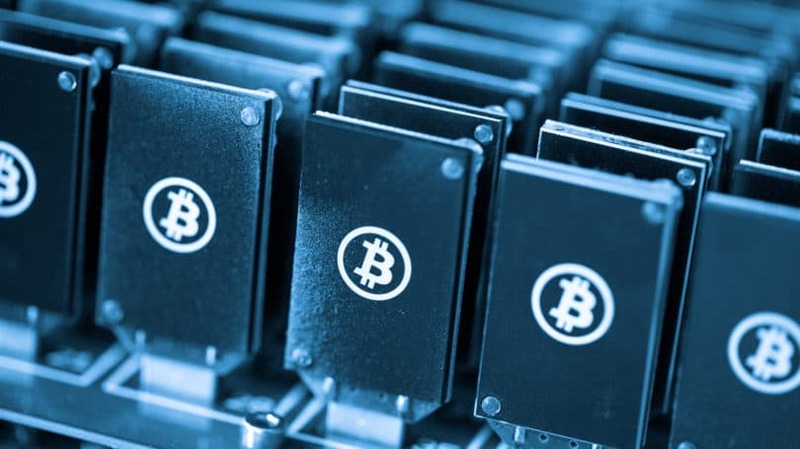 Although cryptocurrency miners serve as quasi-intermediaries for cryptocurrency transactions, they’re not responsible for arbitrating disputes between transacting parties. In fact, the concept of such an arbitrator violates the decentralizing impulse at the heart of modern cryptocurrency philosophy. This means that you have no one to appeal to if you’re cheated in a cryptocurrency transaction – for instance, paying upfront for an item you never receive. Though some newer cryptocurrencies attempt to address the chargeback/refund issue, solutions remain incomplete and largely unproven. By contrast, traditional payment processors and credit card networks such as Visa, MasterCard, and PayPal often step in to resolve buyer-seller disputes. Their refund, or chargeback, policies are specifically designed to prevent seller fraud. Cryptocurrency mining is very energy-intensive. The biggest culprit is Bitcoin, the world’s most popular cryptocurrency. According to estimates cited by Ars Technica, Bitcoin mining consumes more electricity than the entire country of Denmark – though, as some of the world’s largest Bitcoin mines are located in coal-laden countries like China, without that progressive Scandinavian state’s minute carbon footprint. Over the longer term, the best solution is to power cryptocurrency mines with low- or no-carbon energy sources, perhaps with attendant incentives to relocate mines to low-carbon states like Costa Rica and the Netherlands. Cryptocurrency usage has exploded since Bitcoin’s release. Though exact active currency numbers fluctuate and individual currencies’ values are highly volatile, the overall market value of all active cryptocurrencies is generally trending upward. At any given time, hundreds of cryptocurrencies trade actively. Bitcoin is the world’s most widely used cryptocurrency, and is generally credited with bringing the movement into the mainstream. Its market cap and individual unit value consistently dwarf (by a factor of 10 or more) that of the next most popular cryptocurrency. Bitcoin has a programmed supply limit of 21 million Bitcoin. Bitcoin is increasingly viewed as a legitimate means of exchange. Many well-known companies accept Bitcoin payments, though most partner with an exchange to convert Bitcoin into U.S. dollars before receiving their funds. Released in 2011, Litecoin uses the same basic structure as Bitcoin. Key differences include a higher programmed supply limit (84 million units) and a shorter target blockchain creation time (two-and-a-half minutes). The encryption algorithm is slightly different as well. Litecoin is often the second- or third-most popular cryptocurrency by market capitalization. Released in 2012, Ripple is noted for a “consensus ledger” system that dramatically speeds up transaction confirmation and blockchain creation times – there’s no formal target time, but the average is every few seconds. Ripple is also more easily converted than other cryptocurrencies, with an in-house currency exchange that can convert Ripple units into U.S. dollars, yen, euros, and other common currencies. However, critics have noted that Ripple’s network and code are more susceptible to manipulation by sophisticated hackers and may not offer the same anonymity protections as Bitcoin-derived cryptocurrencies. Launched in 2015, Ethereum makes some noteworthy improvements on Bitcoin’s basic architecture. In particular, it utilizes “smart contracts” that enforce the performance of a given transaction, compel parties not to renege on their agreements, and contain mechanisms for refunds should one party violate the agreement. Though “smart contracts” represent an important move toward addressing the lack of chargebacks and refunds in cryptocurrencies, it remains to be seen whether they’re enough to solve the problem completely. Dogecoin, denoted by its immediately recognizable Shiba Inu mascot, is a variation on Litecoin. It has a shorter blockchain creation time (one minute) and a vastly greater number of coins in circulation – the creators’ target of 100 billion units mined by July 2015 was met, and there’s a supply limit of 5.2 billion units mined every year thereafter, with no known supply limit. Dogecoin is thus notable as an experiment in “inflationary cryptocurrency,” and experts are watching it closely to see how its long-term value trajectory differs from that of other cryptocurrencies. Coinye, a semi-defunct cryptocurrency, is worth mentioning solely for its bizarre backstory. Coinye was developed under the original moniker “Coinye West” in 2013, and identified by an unmistakable likeness of hip-hop superstar Kanye West. Shortly before Coinye’s release, in early 2014, West’s legal team caught wind of the currency’s existence and sent its creators a cease-and-desist letter. To avoid legal action, the creators dropped “West” from the name, changed the logo to a “half man, half fish hybrid” that resembles West (a biting reference to a “South Park” episode that pokes fun at West’s massive ego), and released Coinye as planned. Given the hype and ironic humor around its release, the currency attracted a cult following among cryptocurrency enthusiasts. Undaunted, West’s legal team filed suit, compelling the creators to sell their holdings and shut down Coinye’s website. Though Coinye’s peer-to-peer network remains active and it’s still technically possible to mine the currency, person-to-person transfers and mining activity have collapsed to the point that Coinye is basically worthless. In the meantime, cryptocurrency users (and nonusers intrigued by cryptocurrency’s promise) need to remain ever-mindful of the concept’s practical limitations. Any claims that a particular cryptocurrency confers total anonymity or immunity from legal accountability are worthy of deep skepticism, as are claims that individual cryptocurrencies represent foolproof investment opportunities or inflation hedges. After all, gold is often touted as the ultimate inflation hedge, yet it’s still subject to wild volatility – more so than many first-world fiat currencies. Have you ever used cryptocurrency?